DU volunteers host more than 4,000 grassroots fundraising events annually, such as member and sponsor banquets, shooting and fishing tournaments, and golf outings. Event dollars represent some of DU’s most important sources of revenue. Since event dollars are typically unrestricted, DU is able to spend these funds in our highest priority areas and use them to leverage additional funds from other sources. 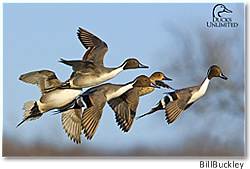 Ducks Unlimited, Inc. is tax exempt under section 501 (c)(3) of the Internal Revenue Code.